Dolphin engineer helped another DFL user in India to fix the damaged firmware modules and get lost data back from one Western Digital WD20PURX-64P6ZY0 hard drive. 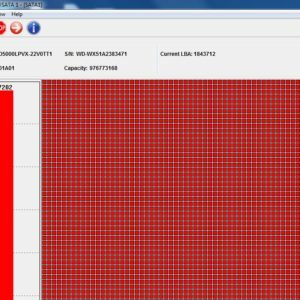 When this hard drive was connected to pc, it’s not detected at all. 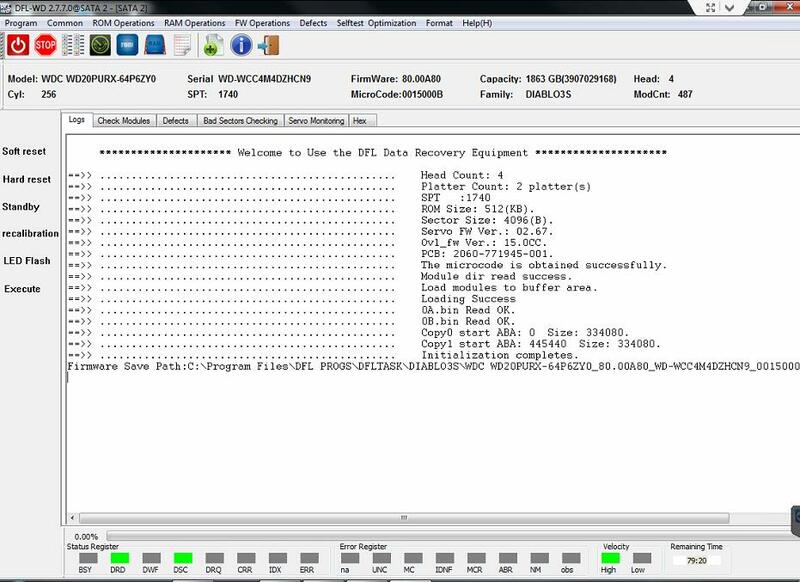 When it’s connected to DFL SRP firmware repair hardware, the patient hdd was detected but wrongly detected, no model info and capacity 0. Dolphin engineer opened DFL WD firmware repair program, powered off and on the HDD and managed to read the ROM and bypassed SA. The engineer was able to read all the firmware modules, actually for patient hdds, it’s suggested users backup important modules only, no need to backup all modules, most modules don’t help in data recovery cases but the backup may help to damage the heads and lower down the success rate. Next the engineer could load the ATA modules automatically and was able to fix the ID module damage and media cache module damage by simply clicks. After above simple operations, the engineer wrote back the original ROM, power off and on the patient HDD, the drive was perfectly detected. 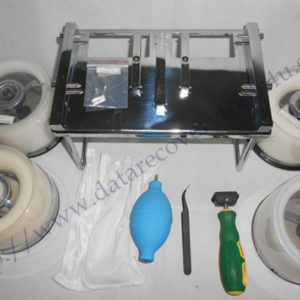 Next all data can be recovered by DDP data recovery tool.